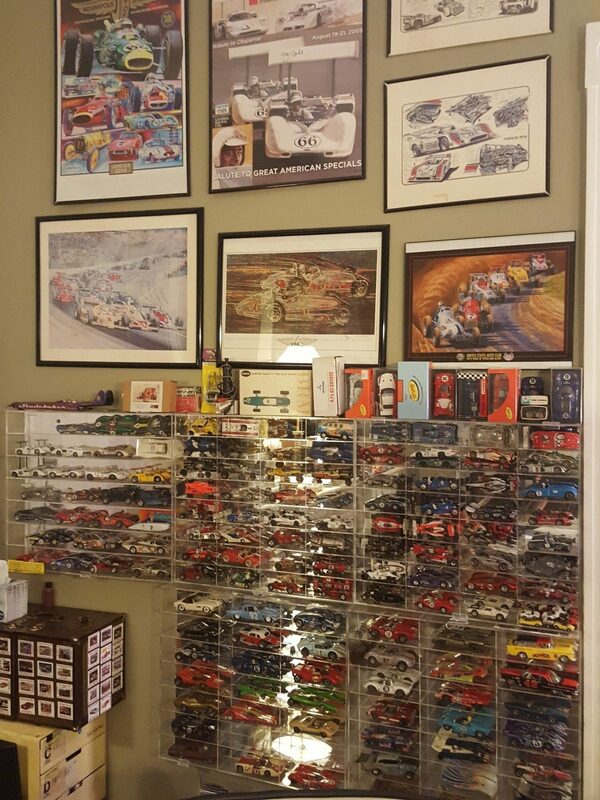 When we aren’t traveling the world setting up slot car tracks for events…I (Jim) build and restore slot cars and tracks of course! Inspired by the 1967 Rally of Monte Carlo, the course starts in the valley Climbs the ski lodge and back to the valley in a loop. Almost to the top! This track is a beautiful example of a custom scenic track that we can build for our customers. Up to 6 drivers jockying for 1st place, while up to 4 automated patrol or ghost cars roam free.